Are your carpet cleaning remedies at home not working like you’d hope they would and are you searching for a carpet cleaning company in Warren, MI? It’s time to call the professionals. At Capital Carpet we provide professional techniques to make your carpet look fresh and clean. 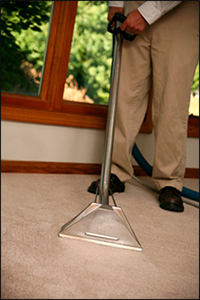 Our professional, efficient, and courteous staff will assist you with all your carpet cleaning needs in Warren, MI. Is your carpet, area rug, oriental rug or upholstered furniture looking dirty or old and used? Regular cleaning helps maintain your carpet, but a professional deep clean will breathe new life into your residence or business. Call Capital Carpet at (800) 841-0105 today for carpet cleaning in Warren MI. A wine tasting got a little out of hand, or it was a toddler's birthday party and Play-doh, apple juice, and cookie crumbs are everywhere. Maybe you forgot to close the windows over the weekend and three straight days of spring rains gave your office a musty smell. Don’t worry! At Capital Carpet we have the experience necessary to take care of any stain. Capital Carpet has been in the carpet cleaning business for 36 years and has provided outstanding carpet cleaning services for the Warren, MI area. Only safe products and the most recent cleaning equipment are used to give your carpet that clean new look you’ve always wanted. Our employees will make you feel comfortable inviting them into your house. We are a family owned and operated business that is large enough to handle any size job, but small enough to treat you with the personal care that many companies are not able to provide. We will use truck mounted steam cleaning equipment to take care of: water damage repair, persian and oriental area rug cleaning, hardwood and laminate floor cleaning and buffing, commercial carpet cleaning, residential carpet cleaning, wood furniture and upholstery cleaning, commercial carpet and rug cleaning, carpet spot and stain removal, color damage repair, and fresh scent with any carpet cleaning or dyeing. If you need residential or commercial carpet cleaning services call Capital Carpet today at (800) 841-0105 for carpet cleaning in Warren MI with expert removal of carpet stains and quick drying times. We guarantee satisfaction or else you don’t pay. It's time to contact Capital Carpet, where we have over thirty years of experience saving customers' carpets, rugs, and furniture from calamities of all sorts. Please give us a call, describe your situation, and we will be happy to give you a free estimate. Testimonial: "I've been with you guys since 1980's, I have never used anyone else, what does that say! (smile)"
Testimonial: "I have been with you all for 15 years"